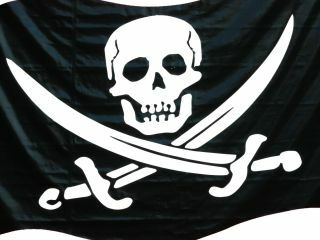 A small victory: are the authorities fighting a losing battle against piracy? Police have arrested a Middlesbrough man today for his alleged involvement with music piracy site OiNK. The International Federation of Phonographic Industries has pointed the finger at OiNK, accusing it of making music albums available online well before their official release dates. The website reportedly has 180,000 paying subscribers, all of which had access to 60 albums before they were released to the public. The arrested man, 24, has been blamed for being behind the entire operation. And the investigation into his site has involved not only the IFPI but also the Dutch police and the British Phonographic Industry (BPI). "OiNK was central to the illegal distribution of pre-release music online," said Jeremy Banks, head of the IFPI's Internet Anti-Piracy Unit. "This was not a case of friends sharing music for pleasure. This was a worldwide network that got hold of music they did not own the rights to and posted it online." A visit to OiNK today will reveal a written message saying, "This site has been closed as a result of a criminal investigation by IFPI, BPI, Cleveland Police and the Fiscal Investigation Unit of the Dutch Police (FIOD ECD) into suspected illegal music distribution. A criminal investigation continues into the identities and activities of the site's users."